There are many of these available for free to download on the internet and are free to modify and re-release by users. Not only are they free to use and free to re-distribute but they are far more reliable than commercial operating sytems! If you should choose to use one of these distributions you can usually run your windows programs via a program called wine which is also free to use and modify however the programs available for gnu/linux distributions are usually better and ofcourse free to use, free to modify and free to re-distribute. Thanks, that's very informative. Unfortunately it was in 'Klingon' language so absolutely useless to me. perhaps mr fry can explain better than i.. 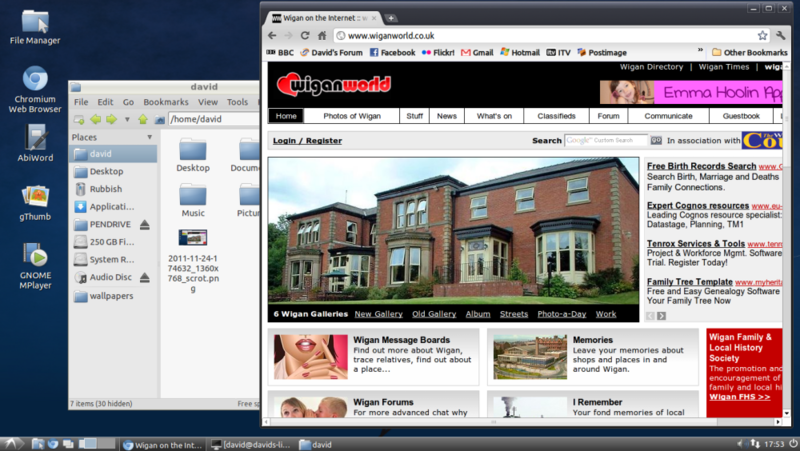 I'm currently experimenting with Lubuntu. You have to install one or two things to get everything working (flash player, mp3s, DVDs, etc) but it's easy enough to do. It's very fast compared to Windows 7 on this PC.